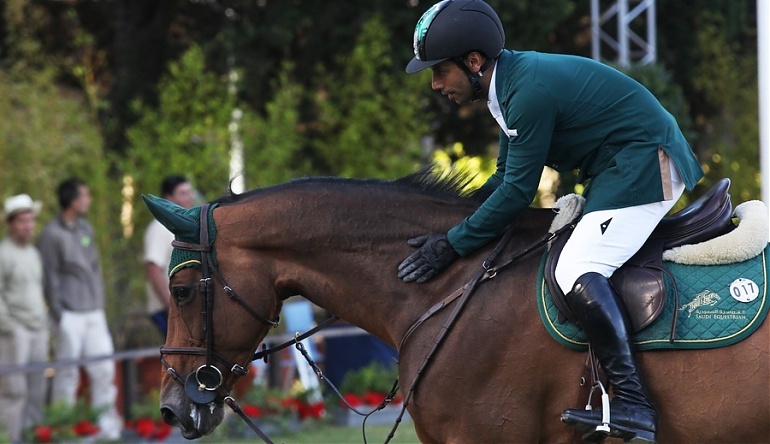 Kamal began riding at aged 7 because he loves horses, and he made his international debut in 1994. Winning Team and Individual Gold at the 2004 Pan Arab Games and winning Team Gold and Individual Silver medal at the 2011 Pan Arab Games. He holds positions in several major companies around the world, but in 2011 he decided to put more of his energy into training to try to win a medal at the 2012 Olympic Games in London (the Saudi Team took Team Bronze). Kamal has been nominated as a member of Young Global Leaders, which is part of the World Economic Forum. He is interested in coaching young business professionals and entrepreneurs. Kamal trains with Stanny van Paesschen and one of his targets is to win many Global Champions Tour Grand Prix.